Dear reader, still there have many foundation constructed of wood. The main draw-back of timber foundations materials is deterioration under many biological and chemical action; sources are obviously from ambient environment. Dear reader here we will learn about rotting and we have already discussed about insect attack on wood foundation. Dear reader we like to include a great palace that were founded over 13569 piles and these piles were all timber pile. You may be surprised to hear that this palace was built in 1648 and still it is standing quite good condition. 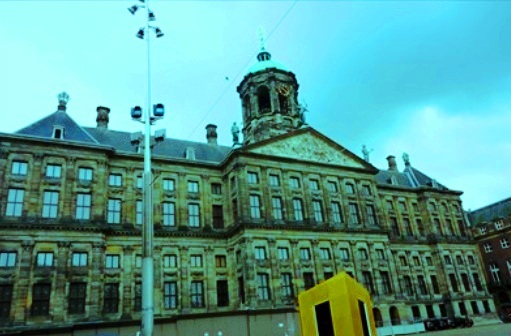 Dear reader we are talking about Royal Palace of Amsterdam. So why are we discussing about rotting of timber foundations? The palace was renovated in 2005 and left opened for visitor in 2009. But the renovation was only removing asbestos. We know health hazard associated with asbestos. Timber is locally available foundation material in many regions of the world and historically this has been good and reliable material for constructing home and foundation. Still now it is more affordable material than steel or concrete. As piling material, it is a popular choice but have low load bearing capacity than steel and concrete. Another consideration that should include in designing timber pile is rotting and subsequent insect attack. The royal palace of Amsterdam is still surviving today as these numerous piles remain below groundwater table. These piles have sufficient water but lack of dissolved oxygen. Fungus grow vigorously using nutrient available in wood. But these have also a controlling factor; temperature. The temperature within (0-40)0C is essential for such growth. The wooden foundation elements must have not less than 20% water (in respect of their dry weight) to grow fungus with the wood. Sometimes a foundation elements that is designed to have below ground water table, may suffer fungus rotting, as ground water is lowered with seasonal or other many man made changes in ambient environment. So if a foundation is suspected to subject water table fluctuation, the wood/timber has to be preserved by pressure treatments. 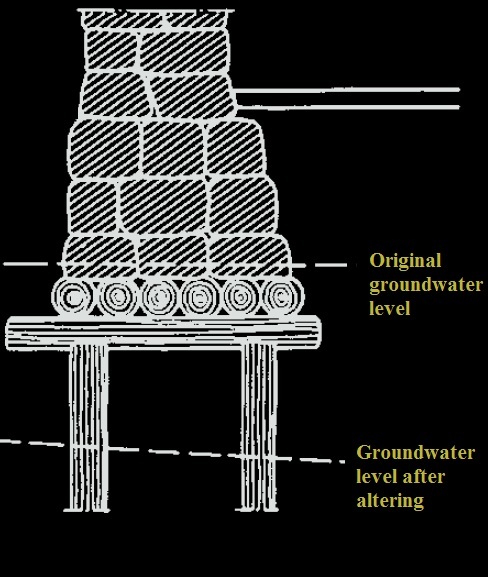 With pile foundation, rafts are also subjected to rotting when water table drops below top of foundation.